One of my favorite Christmas crafts for toddlers is making gift tags. I love the fact that there’s a practical purpose to the craft activity and they are always appreciated when attached to gifts. In my house, we made so many of these that I don’t think I’ll have to buy any Christmas gift tags at all! 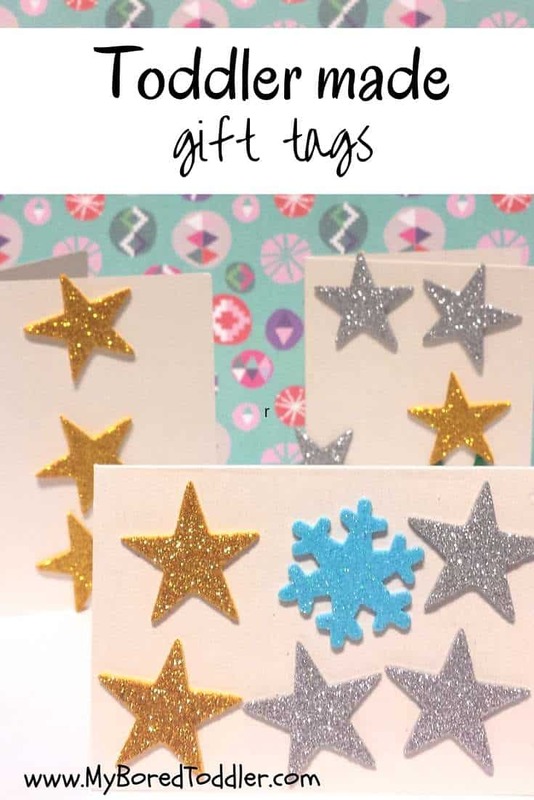 If you’re joining in with our 12 Day Christmas Craft Challenge (you can still sign up here) then these go great with the Christmas cards that we made on day 3. If you missed yesterday’s craft, we made these cute Christmas crackers. 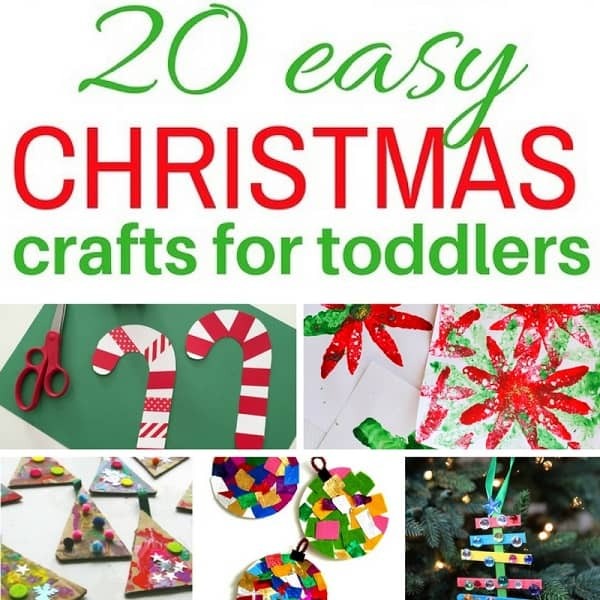 The best thing about this toddler Christmas craft is that you can use whatever stickers you like to create an endless possibility of designs. 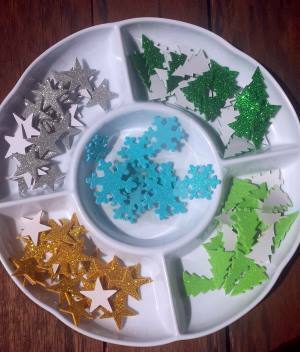 Christmas stickers – any stickers will work but we really like the foam ones like these as they are easier for little fingers to pick up. 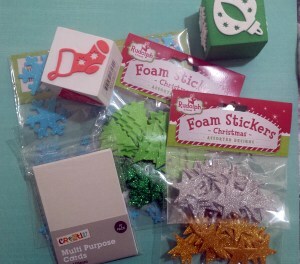 Any other Christmas craft items you have around – we found some old Christmas stamps and used them too, but they look great with just the stickers. This activity couldn’t be easier! I arranged a selection of the Christmas stickers, handed out the cards and they stuck the stickers wherever they liked. For the younger toddlers try to use bigger stickers. I prefer the raised foam stickers as they are easier for little fingers. I hope your family and friends enjoy their homemade Christmas gift tags! 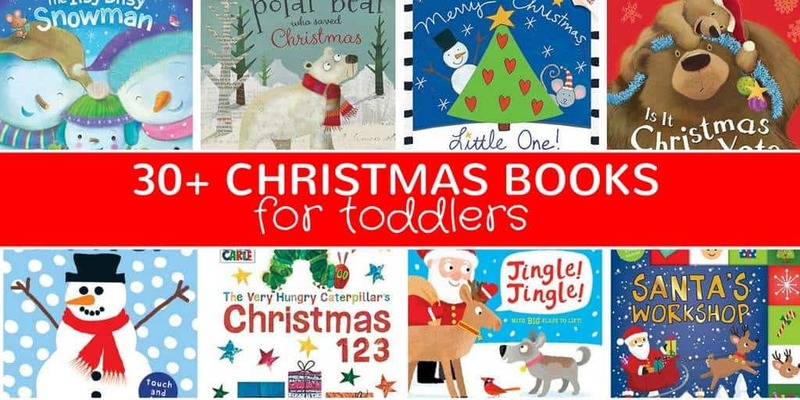 Make sure you pop into our Facebook group and share them or post on Instagram using #MyBoredToddler so we can all see. I’ll repost a few of my favourites! These would be so cute to receive on gifts! Love this idea! We could make these by the dozens!! Yes, we’ve made quite a few! Glad you like it – they’re so simple! This looks like such a fun activity. 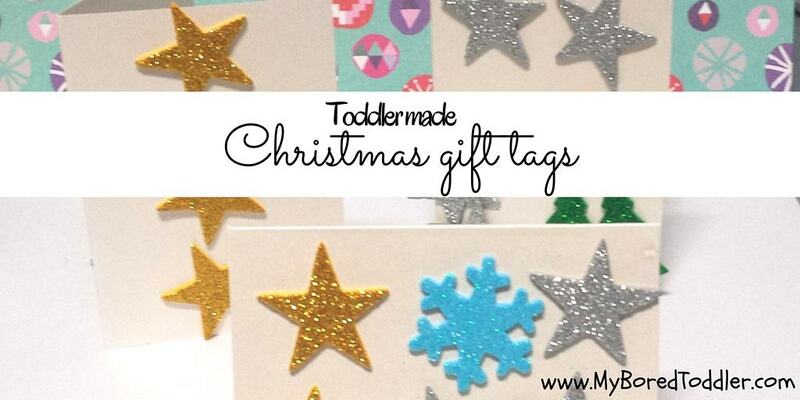 I know my toddler would love to play with stickers while making something useful for gift wrap too. Thank you for sharing on my page. Pinned!